Many said they were initially misdiagnosed with conditions like hemorrhoids or irritable bowel syndrome (IBS). Experts said the findings are not surprising. Symptoms of colon cancer -- such as fatigue, constipation and rectal bleeding -- can be caused by many noncancerous conditions that are much more common in younger adults. It's also reasonable for doctors to first suspect conditions like hemorrhoids or IBS, said Yarden, who directs medical affairs for the Colorectal Cancer Alliance, a Washington, D.C.-based patient advocacy group. But, she said, it's critical that doctors and patients alike be aware that colon cancer can strike young people. And it's becoming more common, Yarden stressed. Since the 1990s, colon cancer rates have risen by 0.5 to 2 percent a year among Americans younger than 55, according to the American Cancer Society. Also, rectal cancer has shown a slightly faster increase ever since the 1970s. Last year, the cancer society changed its guidelines on colon cancer screening for people at average risk. It now advises screening starting at age 45, instead of 50. Around the same time, Memorial Sloan Kettering Cancer Center in New York City opened a center for colon cancer patients younger than 50. One goal is to research the reasons for the rising incidence, said Dr. Robin Mendelsohn, who co-directs the program. 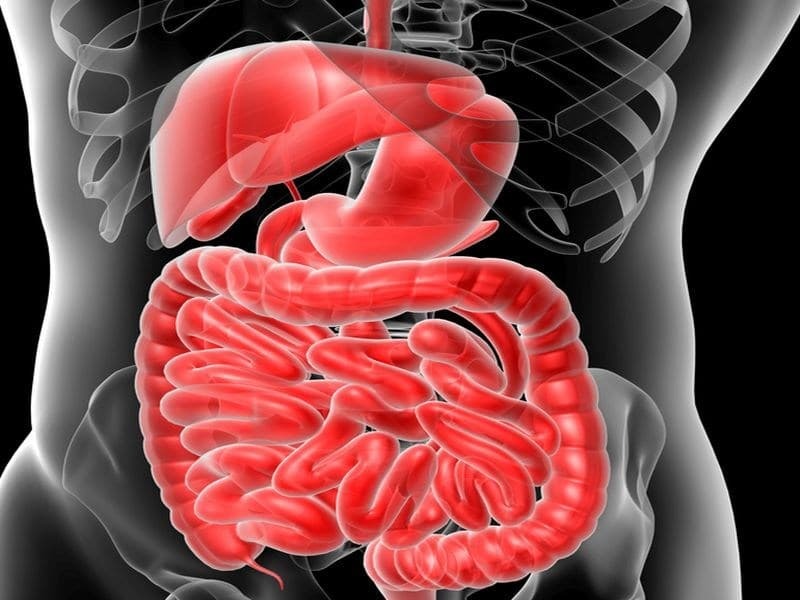 Obesity and type 2 diabetes are risk factors for colon cancer, said Mendelsohn. So in theory, rising rates of those conditions among young Americans could be one driving force. But that's unlikely to be the whole explanation. According to Mendelsohn, her center sees plenty of young patients who are normal-weight, have no medical conditions and lead healthy lifestyles. "Right now, the reasons are unclear," she said. Mendelsohn was not surprised that many survey respondents waited to see a doctor for their symptoms, or that other diagnoses were often made first. In her experience with young colon cancer patients, she said, rectal bleeding is usually the symptom that first got them to see their doctor. Even when there's bleeding, Mendelsohn noted, noncancerous conditions, like hemorrhoids, are more likely to be the cause. "But if that bleeding persists for a couple weeks after the visit, patients should go back for further evaluation," Mendelsohn said. The survey findings are based on 1,195 colon cancer patients who were diagnosed before their 50th birthday. The majority were in their 40s, but one-third were in their 30s, and 10 percent were even younger. Overall, 63 percent said they waited three to 12 months after their first symptoms to see a doctor. Even more -- 67 percent -- saw at least two doctors before getting the right diagnosis, with some seeing four. And, Yarden added, many patients who saw only one doctor also had delays in a correct diagnosis. In all, 71 percent were diagnosed with more-advanced stage 3 or 4 cancer. It's not clear, though, what role the delayed diagnoses had in that, Yarden said. Mendelsohn said the finding probably reflects the fact that younger patients are going to the doctor because of symptoms that often arise when the disease is more advanced. That's in contrast to older patients, whose cancer is often caught early through screening -- before they have symptoms. Both Mendelsohn and Yarden said younger patients with possible colon cancer symptoms should "advocate for themselves." If the problems persist, ask for further evaluation with a colonoscopy. "And know your family history," Mendelsohn advised. The risk of colon cancer is higher among people with a parent, sibling or child who had the disease -- especially if it was diagnosed before age 45, the cancer society says. Yarden is scheduled to present the results next month at the annual meeting of the American Association for Cancer Research, in Atlanta. They were released Feb. 27. Research presented at meetings should be considered preliminary until published in a peer-reviewed journal. The American Cancer Society has an overview on colon cancer.